I was having one of those days just a few weeks back; I was driving back from the awe-inspiring Wine Summit at the Post Hotel in Lake Louise, Alberta ( http://astudentofwine.blogspot.ca/2012/07/post-hotel-wine-summit-2012.html ) and the roads were absolutely clear. I had left first thing in the morning and was set to arrive at Kelowna's Summerhill Winery ( www.summerhill.bc.ca/ ) for lunch and a short interview with the winemaker Eric. 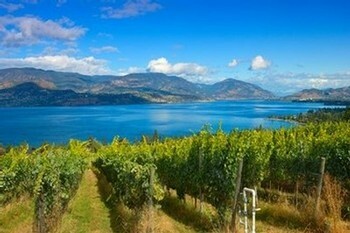 If you're not familiar with this organic winery, you should take note: they are now the first certified bio-dynamic winery in British Columbia! So anyways, little did I know that I was going to meet a kindred spirit in Eric, enjoy a dozen wine samples with lunch and miss my evening class of the French Wine Scholar program in Vancouver. Ok, perhaps the extra wine made my afternoon snoozier then expected, and perhaps missing my class made my program more challenging then it already was, but I wouldn't have changed a thing. Eric is a very calm fellow; quite analytical in nature (seemingly) and genuinely approachable with a superbly dry sense of humor. Regardless that it was a summer day with the bottling line cranking out a new vintage full-throttle. Regardless that icewines were still fermenting and the executives clamouring for Eric to work some magic and get them into the bottle line. And regardless that this is Canada's most visited winery, which was filled to the brim with eager guests, Eric still took the time to welcome me into the inner sanctum of Summerhill's wine cellar gracefully. Of course, he may just have wanted to escape the early June 30+C heat as much as I did! "Anyone can make great wine in a great year... you have to be an idiot some years not to make great wine. 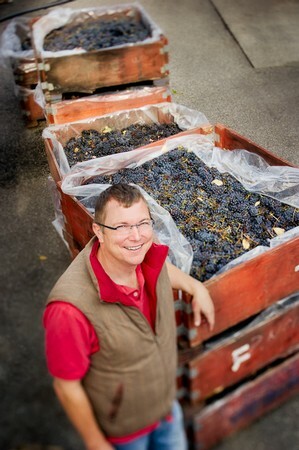 But the true professionals can make very good wine every year." Eric adapted to the challenging conditions in, I imagine, his calm and un-ruffled manner and he made icewine. Syrah icewine, Cab franc icewine, you name it - it became icewine (40 acres worth). We tasted some of those, and all were still actively fermenting. We then had a good chat about cultured yeasts vs wild yeasts and what they bring to the party. Eric loves that every yeast will develop it's own priorities in flavenoids in the wine... simply put, every yeast enhances different aspects. I had assumed that perhaps because Summerhill embraces organic and bio-dynamic principles, that they would be using wild yeasts, but Eric cautions about the volatility of doing this... he knows what he wants to develop from his vineyards and to achieve these goals is using over 25 cultured yeasts judicially. And finally I came down off of the sugar-rush in time to taste some wine that was being bottled as we spoke. We spoke about how Eric perceives his Cab Franc needing American oak instead of French, and how he prefers not to fine his wines with eggwhite or gelatin (making it vegan-friendly). We moved just a few feet further and Eric poured something bright and vibrantly purple into my glass... I being who I am, drank without asking any questions. "Wow" I say, "this is bright, and fresh, and lovely. What is it?" "Cab Sauv" responds Eric, completely stunning me. This wine drank like a young Gamay Noir; super lively and understated tannins. How could this be? It was because we were tasting it before the barrel aging and what a treat it was. I failed to take proper notes on that wine, but it did lead us into an engaging conversation about flavor profiles in different varietals. Eric commented several times on how the preference in tastes is different in every region of the world, and winemakers need the business-sense to pay attention to that as they develop what has come in from the vineyard. "Who's showing up to the party" is the way he likes to put it. Eric and I moved our party out onto Summerhill's large deck at the restaurant overlooking the lake. There we started a leisurely lunch accompanied by a bevvy of still and sparkling wines. A word to the wise, make the time to stop here for a bite to eat! Knowledgeable, friendly staff, organic and responsibly-harvested foods prepared with definite skill and, compared to Vancouver, incredibly reasonable prices. I must give a nod to the chef because now when I listen to the recording from the early part of the meal, there are extended bouts of silence; punctuated only by the occasional sigh of contentment and clinking of silverware. Eric and I moved into a round of sparkling rosé, organic Pinot Noir and I found myself quite taken with the rosé; full of life it had deep savory tones and a richness far too often missing in North American versions. This lead us into yet another topic of conversation: oxidization in wines. I put forward the notion that the wine textbooks pre-1960 didn't talk about oxidization as much as they do now, and they certainly didn't talk about it with the same sense of wariness. Oxidization, to my knowledge, was once looked at as a winemakers tool that could be used to great effect and it seems to me as if the mainstream industry is losing that in an effort for "purity". Eric enlightened me as to how many judges in recent competitions are reporting more reductive qualities from Stelvin enclosure or screw-top then from cork... that the "perfect" enclosure is creating it's own host of issues in modern wines. Perhaps wine, as a living entity, needs oxygen... perhaps in some instances oxidization is a necessary and useful tool. There are alot of people in the wine industry who are actively exploring this concept. I was stunned at the quality. I had tasted the Gabriel before at industry events, and always been impressed, but sitting in the sun with a bit of properly prepared food in front of me brought this wine into a new light. A true heavyweight contender in the international arena, it was sheer pleasure each and every drop. So then it begged the question: "What do you drink when you're not drinking your own wine Eric?" The answer was brilliantly simple: "Everything". Eric believes strongly (as the best businesspeople do) that he needs to know what his competition is up to and, without seeming trite, he says he "just loves wine". And these days it seems like, more then just about anything else, what I'm loving about great wines whether they be a great $15 bottle or a great $150 bottle is the story they tell. Great wines have an immense capacity to open the senses to another place; they speak of the warmth of the sun, the way the slope rolls to the riverbank, the way someone hand-selected each cluster of grapes. Great wines speak of terroir; that inexplicable mix of land, grape and spirit (pun intended). Eric and I spoke of that at length, reminiscing over wineries and vintages we both knew where the winemaker and vineyard met in a moment of co-operation and told the story of where they were from. Pierre Henry-Gaget, the winemaker for Maison Louis Jadot, once told me that "Great wines are trying to tell a story. It is our job to listen." It occurred to me then, sitting with Eric von Krosigk, that I was with someone who truly understood that. And I also knew that I had figured this out several hours earlier at the beginning of the interview when I tried Eric's first wines and heard him talk about them. Here is a winery that understands, or perhaps they would say that they are starting to understand, their terroir. This is evidenced as much by the impeccable balance of their $20 white wines as by the rich layers in their $35 reds... there is as much local story to the award-winning sparkling wines (worth several times their cost) as there is to the dazzling array of icewines. 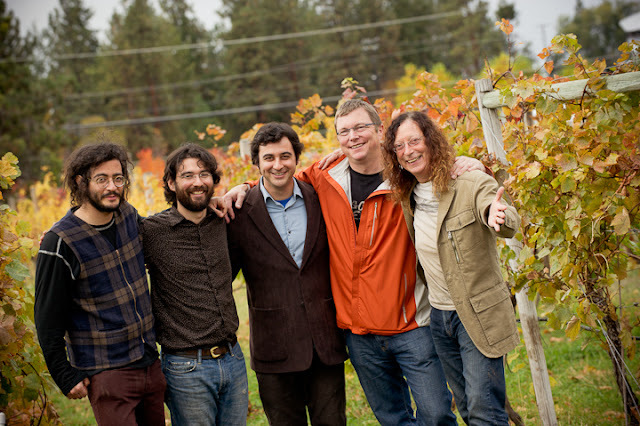 Summerhill organic winery, the first certified bio-dynamic winery in BC, has a story and it's a good one. It's filled with hardwork and dedication to something bigger then themselves. Perhaps when you taste the wine, all you will taste is wine, but I can honestly say that it is some of the best wine of it's kind that I've had. The proof? In the vineyard, in the restaurant, in the staff and most definitely... in the glass my friends.